- The Government of the Republic of Somaliland welcomes the outcome of Somaliland’s November 28th local elections, our latest in a series of several presidential, parliamentary and local elections stretching back to 2002. - Guul Group is a corporation that has a sizeable portfolio and is operating across many business platforms. Its extensive range of businesses includes transportation and logistics, energy, agriculture, fishery, telecommunications, and consultancy services. It has striven to establish and bolster trade within Somaliland and the rest of the Horn of Africa. The company will stand to earn from the recent push that the region has made in attracting global investors. The regional government has started to open up to investment opportunities and has begun to offer incentives and perks to firms and business entities who would like to do their business there. Somaliland has already attracted the interest of Britain; the country’s Department for International Development (DID) has pledged to allocate around 63 million pounds yearly for the gradual rebuilding of Somalia and has declared its intention of making Somaliland the focus of the development efforts. Only two inpatient psychiatric units and no psychiatrists working in the public sector. Tropical Health Education Trust (THET) works in partnership with indigenous health professionals to improve care, building on existing systems and increasing access to health care for those who most need it, for mutual benefit; a proven means for establishing real global partnerships for development: Millennium Development Goal 8." - The noise as Mo Farah raised his arms to salute a second golden triumph reached an astonishing 140 decibels, so loud that it caused interference on the official finish-line photograph. 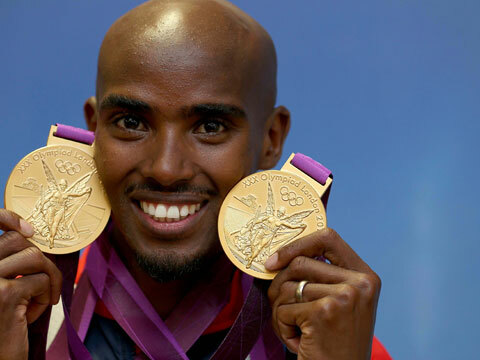 A glorious Games had reached an almost fancifully perfect conclusion and the entire Olympic Stadium, transfixed by the tenacity of Britain’s wiry Somali-born hero, appeared caught up in a state of delirium. An audience encompassing everybody from the Mayor of London to David Beckham, the Prime Minister to Arnold Schwarzenegger, hollered until they were hoarse as they drank in the magnitude of Farah’s accomplishment. Brendan Foster, on his feet in the BBC commentary position, was in no doubt in reflecting upon the riveting climax to this race, where Farah withstood a ferocious late surge from Ethiopia’s Dejen Gebremeskel to add 5,000 metres gold to the 10,000m title he had captured seven days earlier. Dr Michael Walls, International Election Observer’s joint co-coordinator, says that “Somaliland has made enormous progress in achieving a difficult transition to a form of representative democracy. - Somaliland citizens, both at home and abroad, are breathing a sigh of relief that the contentious council election concluded peacefully and democratically. This election marked the second council election in Somaliland and the fifth direct vote since 2002. The election involved 7 political organizations, 23 districts across 6 regions, 1,900 polling stations, and nearly 2,500 candidates. Thousands of Somaliland citizens came out peacefully and participated in gigantic rallies throughout the country. Although diverse groups were campaigning for their respective political organization, they nevertheless gave equal respect and hospitability to all competing political organizations. After cautious counting, the Committee for the Registration of Political Associations and the Approval of National Parties in Somaliland approved three National Political Parties; namely, Kulmiye, WADDANI, and Ucid. The remaining four political organizations (Umada, Rays, Xaqsoor, and Dalsan) have conceded defeat. - The recently concluded local council elections in Somaliland have given many a few points to ponder. The relatively peaceful and apparently free and fair conduct of the election had been marred by the shambolic way in which the votes were counted and results announced by the Somaliland National Electoral Commission (NEC). There have also been rumblings from certain quarters of government interference. However, the fact that the elections were held gives encouragement to those who believe in and support the democratic process in Somaliland. Democracy is not perfect, but it is the only form of political manifestation that gives hope to the ordinary citizens and allows a nation to join the rest of the civilised world. The fifth round of democratic elections in Somaliland once again highlights the continuing success of "Africa's best kept secret", and its ability to attain its long sought international de-jure recognition. HARGEISA, Somaliland — The Kulan Art Café is a bright airy place with murals and framed paintings by local artists, potted plants, fresh coffee and ice cream, homemade cakes and a menu featuring Western staples like pizza and hamburgers. In Hargeisa, the capital of the breakaway state of Somaliland, there is nothing else like it. Nor is there anything like it elsewhere in Somalia, which is attracting increasing numbers of diaspora Somalis as the country gradually emerges from decades of conflict. Among the returnees is the café’s owner Ayan Hussein, a striking woman in her 40s who decided to return to Somalia two years ago. - Xisbi siyaasadeed ka mid ah kuwa mucaaridka ah ee ka jira Jamhuriyada Djibouti oo magaciisa la yidhaa PND, ayaa is-khilaaf siyaasadeed oo culusi uu ku yimid, xisbigaasi ayaa haatan u kala jabay 2 garab oo iska soo hor-jeeda. Xubno ka tirsan xisbigan la yidhaa magaciisa PND ayaa sheegay inay xilkii ka qaadeen guddoomiye Adan Rooble Cawaale oo isagu in badan xilkaasi hayay, isla mar ahaantaa waxa ay guddoomiye u doorteen mudane C/raxmaan Maxamed Alaale. Talaabadaasi waxaa ka horyimid oo ku sheegay wax aan waxba ka jirin oo aan sal iyo raad toona lahayn gudoomiyaha xisbiga PND mudane, Aadan Rooble Cawaale. Mudane Aadan wuxu ku adkaystay inuu isagu yahay gudoomiyaha sharciga ah ee xisbiga siyaasiga ah ee PND. Hadaba Laba wareysi oo ku saabsan arintan oo ay idaacada Somali-VOA la yeelatay mudane C/raxmaan iyo mudane Aadan hoosta ka dhageyso. - Last year Abaarso Tech got over $500,000 worth of scholarships for its students to study in America. These students have since performed incredibly well leading other American schools to take interest in Somali students. The highlights of the Abaarso Tech students’ performance in America include: Mohamed Abdirahman Hussein placing 3rd overall in the NEPSTA Division I New England Cross Country Championships. He also won his school’s historic Pie Race. Mohamed’s American school, Northfield Mount Hermon, is now receiving calls from top American universities wanting to make sure Mohamed comes to see their campus. Deka Abdirahman Aden who not only is excelling at an extremely challenging academic schedule which includes 3 Advanced Placement courses, but who also recently spoke at a fundraiser which led to $60,000 being raised for a new Somali school for girls. At this fundraiser, Deka met the governor of Massachusetts. Naima Fuad Caydiid is so well liked by the administrators of the elite Taft School, that Taft has introduced Abaarso Tech’s Headmaster, Jonathan Starr, to other scholarship granting schools and organizations. Somaliland’s stable image under threat! : Kevin K.
- Somaliland's reputation as a stable and democratic entity has been shaken by violent disputes over the outcome of local elections held late last month. Press reports from Hargeisa, Somaliland’s capital, say three people were killed last week as demonstrators charged that the local voting was not conducted fairly. Somaliland’s representative in the US, Rashid Nur, said in an interview that the protests were organised by the leader of a political party that appeared to have fallen short of the local vote total needed to qualify for national recognition. In accordance with Somaliland law, the three parties receiving the most votes in the local elections will be registered on a national level, Mr Nur explained. Four other parties that ran candidates in the November 28 elections will not gain national standing, he said. Sheeko: Marka Aan Dhergo Dabadeed! - Dacawo aad u gaajoonaysa oo waxay cunto Caynta/kaynta ka raadinaysa, ayaa waxay ku soo baxday awr gool ah oo naaxay oo baadi ah. Hilib baylaha ayaa halkaa uga muuqday. Waxa kaloo se u muuqday in aany hayn awood ay ku hantido. Markaasay feker bilowday. Waxa ku soo dhacay inay libaax ay meel ku ogayd dib ugu noqoto oo u soo sheegto awrkan baadida ah si uu u dilo oo ka dibna hilibkiisa ay u wadaagaan. Libaaxii ayay u tagtay oo awrkii uga warantay; ka dibna way isa soo raaceen. - Somaliland completed two decades of state-building since the proclamation of the Somaliland republic in Burao on 18 may 1991. It has also to its credit eleven years of judicial development since the adoption the national constitution 31/may/2001. Since the independence republic of Somaliland in 18/May/1991, we have strived essential steps that developing the national domestic laws and it’s important in all aspects of our life through the constitutional guarantees and Somaliland preceded eight years of democratization adopted in 31 May/2001. Since the independence of the republic of Somaliland in 1991, there is a lot of universities whether public or private universities in different regions in Somaliland. However, the legal professions in Somaliland are sharply increasing every academic year from different universities in Somaliland. Nowadays, there is full legal professional engagement in the judiciary and justice institutions. December 21st 2012 - Somaliland local elections: International Election Observers applaud commitment to democracy, but say action is required to ensure future election integrity! With results finally confirmed in Somaliland’s local elections, held on November 28th 2012, the international election observation mission assembled by Progressio, DPU and Somaliland Focus (UK) congratulates the people ofSomaliland and the National Electoral Commission (NEC) on a lively and enthusiastic election campaign and voting process. However, in advance of writing our final report, to be released in mid-2013, we must also report a number of substantial concerns. The election’s aftermath has been marked by a build-up of tension over the course of a slow counting process. Once results began to be released, the NEC came under extreme pressure over disputes to results from several sides, and was subjected to a shooting attack on its headquarters in the town ofErigavo. Regrettably, post-election protests saw a number of deaths in protests in Hargeisa,Somaliland’s capital. 24 Hours In Burco Hospital, Part 1-3: The Emergency Room.....*Youtube! - The town of Burco (also written as 'Burao'), in Somaliland, has the largest public hospital in the area and serves at least 350,000 people. Last year, Doctors Without Borders/Médecins Sans Frontières (MSF) medical teams joined Ministry of Health staff at this eight-ward hospital to start providing high-quality, free medical services. Now, Somali staff work alongside MSF staff from as far away as China and Denmark so that patients with medical emergencies receive quality health care. The hospital's emergency room is the point of entry for many patients. 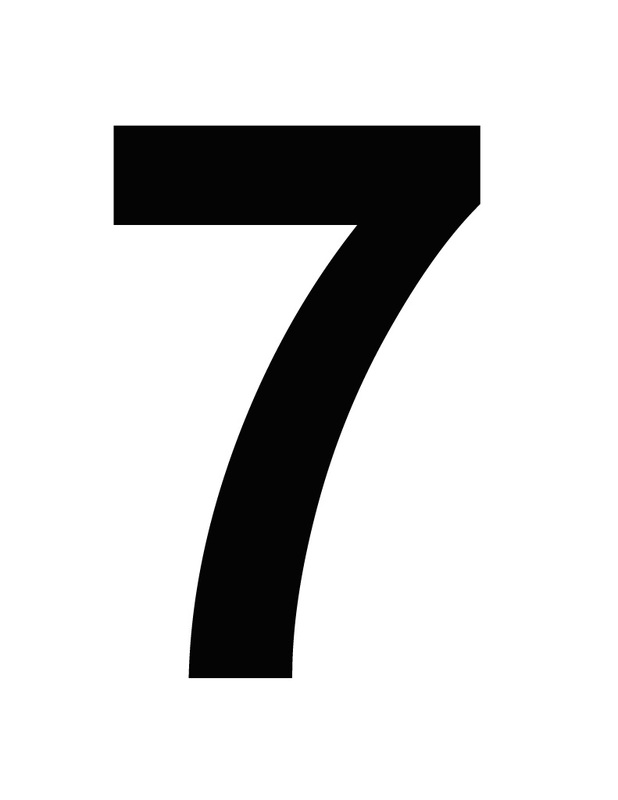 More than 4,500 people were seen there during the first nine months of 2012. This first video in a series of three looks at the emergency room. Africa is fast losing prime seat at world’s table. ''Somaliland..
- IN THE study of his home in Johannesburg, surrounded by books and ignoring the cricket on the giant screen facing his desk, Thabo Mbeki makes a point about Africa. He argues that in the past decade, the continent went from being firmly placed on the global agenda to being inexplicably removed from it. The former president is famous for not being one of life’s gesticulators, but during a recent interview he looked as though he took this issue — of what he perceives as Africa’s relegation— quite personally. 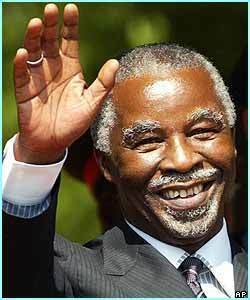 When he was president in the early 2000s, Mr Mbeki was a driving force — arguably the driving force — in getting Africa a seat at the high table of world affairs for the first time, and actually being listened to. - The 2012 Business Confidence Survey, released this week, shows that investment in medium‐sized enterprises more than doubled between 2011 and 2012. The Somaliland Ministry of Commerce and the Chamber of Commerce, Industry, and Agriculture conducted the survey with USAID support. 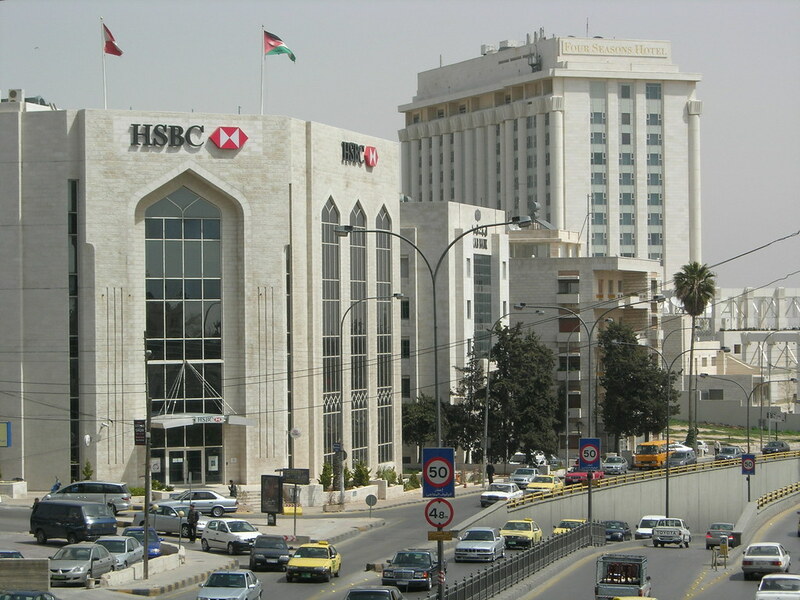 The survey found that investment in medium sized‐enterprises of $100,000 ‐$500,000 had more than doubled in Hargeisa between 2011 and 2012 (from 7.5 percent of respondents to 17 percent). Munaasabadda sanadguurada 40aad: Ma munaafaqadiihii Ina Geelaa mise….? - Waa arrin aad u wanaagsan in la xuso 40 guurada kasoo wareegtay kolkii ugu horeysay ee la shaaciyo qorista farta Af-Somaliga. Inkasta oo libinta dadka qaarkii siiyaan taliskii Af-Weyne hadana waxa ay xaqiiqdu tahay in arrintu sidaas aanay aheyn, oo ilaa muddo hore lagu hawlanaa qorista farta Somaliga. Waxa xataa dad badani ay rumeysanyihiin, sida ay aqoonyahano badani sheegeen, in aanay waqtigaasu aheynba goortii ku habooneyd ee lagu dhawaaqi lahaa. Waayo qabyo badan ayaa jirtay oo dadkii ku hawlanaa ay ku jireen saxitaankeeda iyo hagaajinteeda. Ku deg degaa lagu deg degay waata dhaxalsiisay in fartaasu ilaa maanta ay baaxaa-degeyso oo saldhigi waydo. Af-weyne ujeedadiisu waxa ay aheyd in uu ku magac doonto iyo in uu iska dabro dadkii ka cilmiga iyo aqoonta badnaa oo uu ugu hanjabo in hadii ay la shaqeyn waayaan uu hayo dad iyaga badali kara. - The Somaliland regional court in Marodi Jeh has approved the results of the municipal council elections in Hargeisa, Sallahley and Gabiley and Baligubadle, Judge Abdirashid Mohamed Duran announced Sunday (December 16th). The National Electoral Commission (NEC) announced the results for Hargeisa on December 6th, sparking complaints and clashes between security forces and Haqsoor party supporters in which three people were killed. The NEC decided to recount the votes after several political parties complained that the elections had been unfair. On December 8th, the commission found that the tally from 27 ballot boxes in Faroweyne district in Hargeisa had been entered into the computer tallying system twice, said Hargeisa NEC chairman Said Jama. - 2012 has been another busy year which also saw the graduation of our first 21 midwives who obtained a Bachelor of Science Degree in Midwifery. As always, training of health workers remains our priority because without competent health workers, patients cannot be looked after as they should. For this reason, we have launched the Edna Adan University where 200 students have registered with us to study Public Health, Nursing, Midwifery, and Laboratory Technology. This has been made possible with the donations you have made to us through the Friends of the Edna Adan Hospital USA so that we may cover part of the costs of the teachers and related needs. - Shamefully Somaliland is on the cross-roads and politically so because it is in the hands of a few who are fanatically and heartlessly siphoning the meagre resources of the country with impunity. History is our witness and the so-called ruling party turned itself into a cartel of psych-paths, avaricious imbeciles and exceedingly incompetent beings that have shown no empathy or compassion for the well-being of their people. They are solely in the business of enriching themselves by looting the national resources under the auspices of spreading fear and thereof the lack of stability coupled with a complete disregard of the rule of law and good governance. Surprisingly they have forgotten the unshakeable determination of the people obsessed of safeguarding the sovereignty of this nascent nation brought about by the sacrifices of thousands who paid with their blood. This present regime is constituted by the primary ingredients of a malignant cancer construed by that outdated politics of divide and rule mentality driven by clannish, corruptive and selfish insolences. HALF THE SKY: '' Dr Edna Adan - Somalilander'! Taariikhdu Isma Qorto ee Waa La Qortaa; Horta, ''Ina Cabdalla Xasan & Carab-dheere Kee Mudan?! - Dadka qaar ayaa yidhaa; ''Taariikhdu iyadaa is-qorta''! Xaasha-e, yaan sidaa loo qaadan. Taariikhdu, marka u horaysa ma aha wax iyadu gaar ahaanteeda awood u leh ay isku habayso oo inta ay Qalin iyo Buug qaadato ay isku shareerto! Xaasha! Mana aha mid sida cadceeda/qoraxda oo kale karti u leh inay indhaha caalamka mar kali ah wada shiiqisa! Xaasha! Taariikhdu ma aha wax marka ay bilaabmayso goob joog loo wada noqon karo! Ma aha wax meel kasta xili isku mid ah iyo si isku mid ah uga aloosanta oo ogaanshaheeda loo sinaan karo. Taariikhdu way ka duwantahay sidaa oo waa wax meel gooni ah, goor gooni ah, xaalad gooni ah, cid gooni ah iyo ujeedo gooni ah ku dhacda oo ka amba-qaadanta. 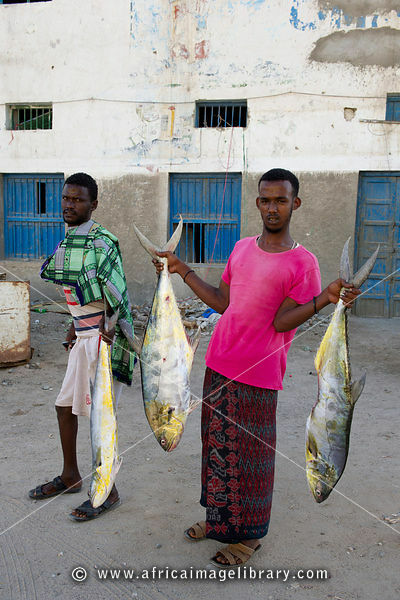 Sidaas darteed; Mar hadii ay hadaba sidaa tahay, waxa aan shaki ku jirin oo dhab ah in taariikh kasta oo dhacdaaba ay cid gaar ah oo ah kuwa ay khusayso ay gacmahooda ku jirto oo ay magan-na u tahay, oo taariikhdaasi xaqiiqadeeda, karaamada, qaabka, dhadhanka, culayska iyo cimriga ay yeelanaysaa ay ku xidhan tahay u-hagar baxa, daacadnimada, xeel-sha ay adeegsadaan ee ay dadkaasi ku soo tabiyaan! Bal hadaba, taariikhaha waawayn ee ay Aduunyada kale qaarkeed sheegato ee aynu meelahaa jiritaankooda ka bawsanay ha inaga maqnaadeene meesheenii yarayd ee Geeska Afrika iyo degaamada dadka Af-soomaaliga ku hadlaa degaan, hadii aan u soo noqono, waxa la is waydiin karaa ma jiraa Taariikh Sugan oo la isla ogol yahay oo dhacday oo dabadeedna si hufan oo aan laaxin lahayn loo soo tabiyay? Jawaabu waxa ay tahay, waa yar yihiin oo hadii ay jirtoba waa hal iyo laba. - Figures from the 2011 census show that the Muslim population in the UK has substantially risen between 2001 and 2011 from 1.5 million to almost 3 million. This now takes the proportion of Muslims from 2% of the population to 5%. In some towns, Muslims make up almost 50% of the population, and in large cities like London and Manchester they make up around 14% of the population. But why has the number of Muslims risen so much and what are the implications? There are several reasons why the number of Muslims has doubled. Some of these are more obvious than others. For example, it is widely known that Muslims have a higher birth rate than people of other faiths meaning younger generations are made up of higher proportions of Muslims. It is also apparent that many Muslim societies are dominated by conflict which has led to a significant number of Muslims seeking more secure prospects in the UK from Muslim nations like Somalia and Afghanistan. - Simply where you may take off politically is here to follow suit the genius and energetic elderly, well experienced politicians of Somaliland like the last man standing of this Nation of President Ahmed Siilaanyo. Don’t get me wrong, he is the only force to eliminate the aggression and also minor political tactics of Southern Somali Italian protectorate that plays games often and also wave hands for the weak individuals of Somaliland citizens here in order to appoint temporary political posts. They endeavour to weaken our national security by creating enmity to risk and intervene to our national existence which is very highly concerned, while our domestic issues agreeable and resolved in spite of our untouchable sovereignty and integrity as independent free nation. Simon Hattenstone: What drives Mo Farah? 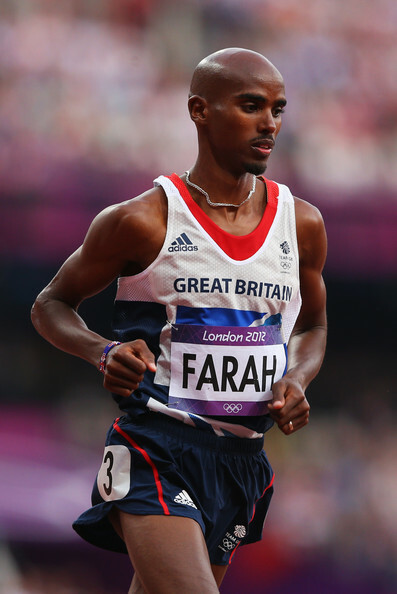 - Mo Farah is strolling around the lush grounds of a Middlesex hotel. His huge eyes are darting everywhere. He spots potential locations for the pictures, tells us he used to be a photographer himself, admits it might be a bit of an exaggeration but he was given a camera to document the 2008 Beijing Olympics, wants to know about the people I've interviewed, asks if it's true Stevie Wonder could have got his sight back but didn't want to. Then he stops. He's jumping up and down outside a glass-fronted cafe, banging on the window, grinning, making a strange gesture with his hands. Farah is actually Moboting to catch somebody's attention. It's as if he's convinced nobody will recognise him unless he pulls his signature pose, hands on head to form an M. Andrew Triggs Hodge, Olympic gold medallist in the coxless fours, runs out of the cafe to meet Farah, who Mobots again just to make doubly sure Hodge knows it's him. - There could hardly be a more poignant or devastating reminder of divisive instability that has spread throughout the Horn of Africa. On Monday, I moderated a discussion panel on how arts and literature can help rebuild society in the Horn of Africa. But I shouldn’t have been there at all. Yusuf Hassan, the intended moderator and a Kenyan MP of Somali descent, was absent because of a stark symbol, not of society rebuilding itself, but of society in meltdown: a bomb attack. The parliamentarian was injured by shrapnel from an explosion in his Kamukunji constituency in Eastleigh, a largely Somali community in Nairobi, on Friday evening. A boy who had come up to greet him was killed instantly, among five who died. It was the second blast in three days. Kenya’s only Nairobi MP of Somali descent, who has regularly spoken out against the al-Shabaab jihadis who control some of central Somalia, Hassan says he doesn’t know if he was the intended target of the attack. Waa la isku haystaa Aw Jamac iyo Idaajaa Taariikda ay harbiyaan. - Sideedaba taariikda waa dhacdo hore inoosoo martay oo aan dub loo cusbooneysiin karrin ama loo badali karrin. Waxase jira dad iyagu, iyagoo ujeedooyin gara ah wata, damca in ay taariikda u dhigaan si gaar oo ay qaloociyaan. Laakiin inta badan waa la-iskaga daba yimaadaa oo tubtii ay lahayd ee saxda aheydbaa lagu weeciyaa. Sidaasu kolka ay dhacday ceeb iyo wadhibaa ka raacda kuwii isku dayey majarohabaabinta sooyaalka taariikheed. Taariikhaha sida weyn beenta looga sheegay waxa ka mid ah ta Maxamed Cabddalle Xasan iyo wixii la odhan jiray Daraawiishta. Taariikhdaas waxa buug ka qorey nin la yidhaa Aw Jamac oo ay badhitaarayaan niman aan kolka horeba ehel u noqno karrin talalaxinta taariikhda dadyowga ku hadla Af-Somaliga. Dadka caynkaas ah waxa ka mid ah ninka la yidhaa Axmed Idaajaa oo ah hadhaagii ubaxii kacaankii Af-weyne ee lagu ababiyey koolkoolinta iyo sara u qaadida magaca beel gaar ah. Axmed Idaajaa ,oo isku dara abwaaniinta dadka Af-Somaliga ku hadla, aqoon yaridiisa waxa u dheer waa nin qarsan kari waayey neceybka uu u qabo beel gaar ah. Waa nin la kowsaday kacaankii oo gar iyo gardaraba beeshiisa cimaamada halyeynimada madax ugu duuba. Tirada ''Toddoba'' iyo Tabaabushihii Kulmiye! - Dadka reer Soomaaliland warwar iyo wareer ayaa ku dhacey maalintii dhidibada loo taagay ururka Kulmiye. Waxaa geeriyooday madaxweynihii si badheedha u sheegay una hirgaliyey in bulshadu xaq u leedahay inay samaysato ururo. Ururadaa oo tartan dhex mara ka dib ay saddex xisbi qaran ka soo bixi doonaan sida dastuurka qaranka jamhuuriyada Soomaliland dhigayo. 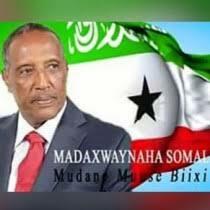 Madaxweyne Maxamed X.Ibraahin Cigaal (IHUN wuxuu geeriyooday bishii May 3, 2002kii. Waxaa markaa gabogabo ku dhaweyd waqtigii loogu talo galay in la furan karo ururada.Hase yeeshee geeridaa ka dib ayaa golaha guurtidu kordhiyey mudadii waxaana golaha loolanka ku soo biiray oo la unkay labada urur ee ASAD oo uu hogaanka u hayey Salaabaan Maxamuud (Saleebaan Gaal) iyo Kulmiye oo uu hogaanka u qabtey Axmed Maxamed Maxamuud Siillaanyo. Sababta loo kordhiyey ilaa iminka bulshada reer Soomaaliland looma sheegin,waxaa kaloo ka qarsoon bulshada reer Soomaaliland sababta labadaa urur loo furan waayey markuu Cigaal(IHUN) noolaa ama loo furi waayey mudadii loogu qoondeeyey in urur la furan karo. 4) Cudurada ku dhaca habdhiska Neefsashada. 5) cudurada caloosha, Xiidmaha iyo marinka cuntada. Waxaa waayadan danbe soo soo kordhayay in hooyooyinku aanay siinin ilmahooda hadii ay jaqsiiyaana aysan jaqsiin mudadii iyo waqtigii ku haboonaa oo ay durbaba Mujuruc iyo masaasad ku quudin ku bilaabaan. Run ahaantii waxtarka caanaha hooyadu maaha mid ku kooban intaas aan sheegnay balse waxay kale oo leeyihiin caanaha hooyadu faa’iidoyinka soo socda.